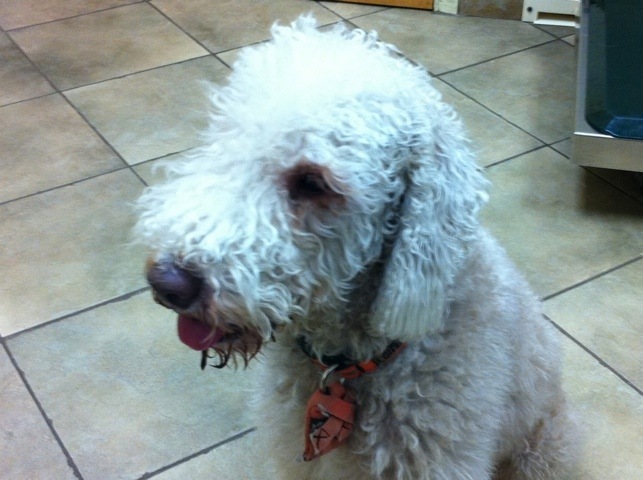 This is me at the vet, pre-haircut. A word of advice for the little Shmendricks out there: always go to the doctors with an ill behaved child. Compared to Mycroft, I am a good boy who deserves favor. But I still look like a poorly kept poodle. I wonder if Hans Christian Andersen knew that if you shave a Bedlington you get a beautiful swan?